WooCommerce is a great tool that allows you to create an online store in no time. But there’s a lot more to it than sales. Today we look into how to create a WooCommerce customer dashboard. In this way, you’ll get to know your user base a lot better. Additionally, with a customer dashboard, you can make data-driven decisions, improving your decision-making process. One of the biggest assets of tech-based companies is their data. That’s because data can help us understand our business and customers. Collecting and processing the right data points is the difference between taking amazingly good decisions or bad and uninformed decisions. And that’s the problem we’d like to solve. If you are using WooCommerce, a lot of data is being collected already and in this article we’ll understand how to go from raw data to creating your own WooCommerce customer dashboard. Before we dive into the details some definitions are needed. Data visualization is the study and method used to organize and present your data. There are many ways to visualise and present your data, such as using charts, tables, infographics, databases. When used correctly, data visualization can help you digest a lot of information very quickly. You can see at a glance how different data sets compare to each other. When used correctly, data visualization can help you digest a lot of information very quickly. Additionally, well-structured data can be drilled down or up. This means that you can increase or decrease the detail level. For example, you can switch between daily, monthly, or yearly sales. You can also switch from city-wide, state-wide or country-wide stats. As a result, you get a better sense of your data set and its individual parts. Because of these data manipulation tools, you can use your data as a thermometer of your business activities and results. Your customer dashboard can be used as a way to evaluate performance. For instance, if a state brings more product sales than others, we can find out why this is happening. It could mean just that this particular state has more traffic, but it could be because of other reasons. Therefore, you can use your WooCommerce dashboard to better understand your data and its subsets. You can as well use it to track down performance. And going a step further you can use these performance metrics to find out trends. What data should I track on my WooCommerce Customer Dashboard? Information – Our data points, such as a sale, customer address, sale price, products. Story – What concept we have in this report? Why is this important? Why should we even build this? What kind of issues lead to the need for building this? Goal – What are we trying to achieve? Understand sales? Get to know our customers? Understand sales from the product X in 2018? Regarding data storage, most of the work is already done by the WooCommerce team. 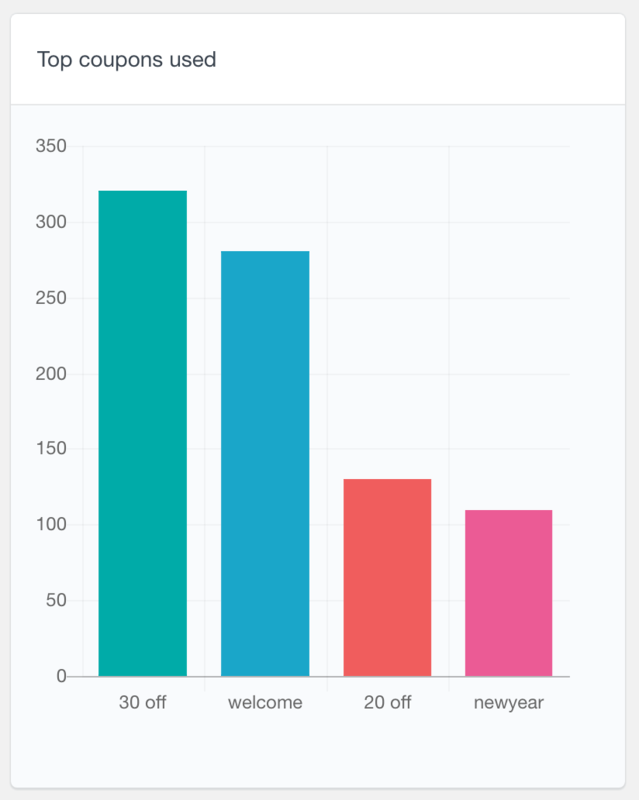 If you want to spice up your WooCommerce customer dashboard you can bring some more data. For example, Users Insights can collects your user location via the GeoLocation API. You can collect more data using tools such as Gravity Forms or ACF. Additionally, when collecting your data, keep in mind its granularity. The granularity is how big or small your data point is. For example, if you collect your customers’ birth date you can calculate their age. But if you collect only their age, you can’t update this information later on. The same rule applies to your sales data, product costs, stock information and so on. The Users Insights plugin has the Reports section. 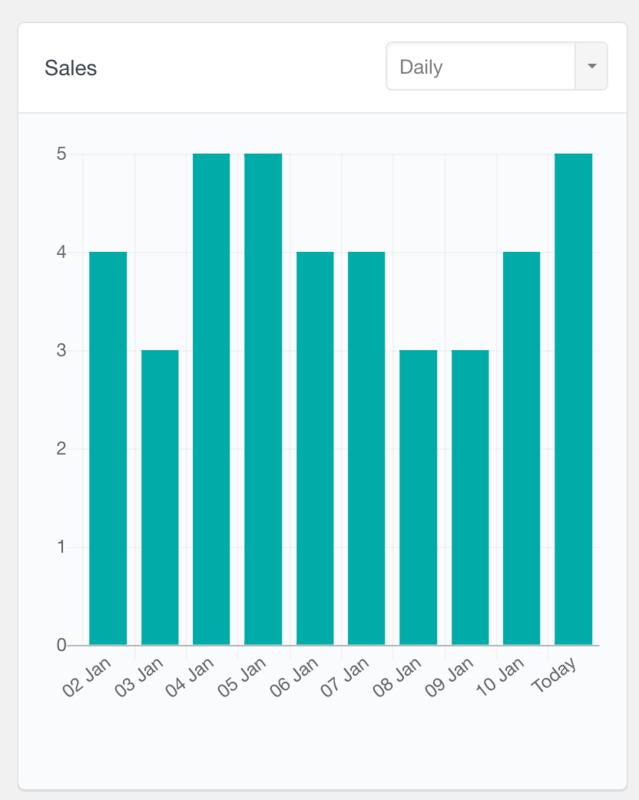 There you have a WooCommerce customer dashboard ready to use with a lot of interesting metrics. Let’s go through a few of the metrics you can find. First, your sales report. 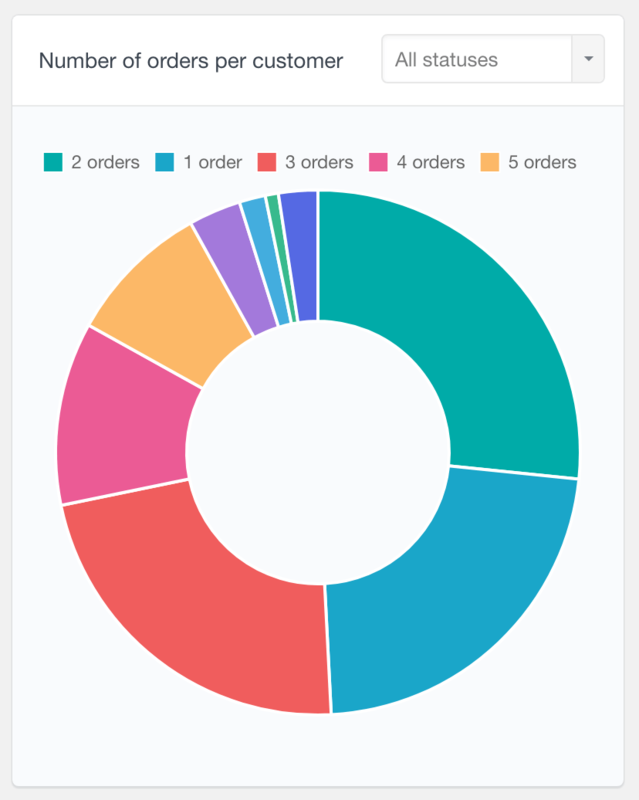 Any WooCommerce customer dashboard should give you an idea of how much you are selling. 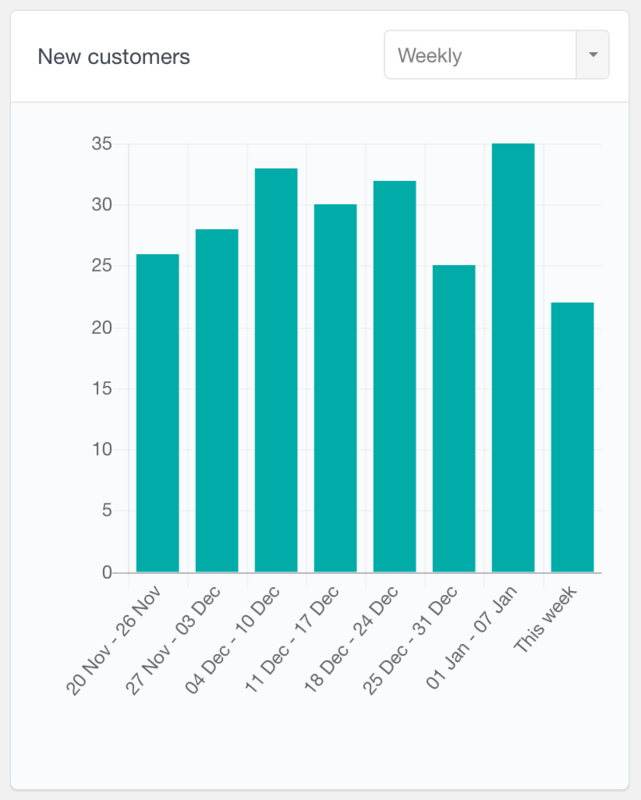 But beyond that, we need the flexibility of checking how sales stats are progressing over time. Therefore, you can switch the sales report from daily, weekly, monthly or even yearly reports. Often in your WooCommerce dashboard, you need to quickly see how many new customers you’ve got. That’s when the new customer sections are going to be useful. Since you are using a dashboard, you can quickly see how customer acquisition is working, and how it compares to other periods. As we mentioned before the repeat purchase ratio is an incredibly important metric. That’s why it should be in your customer dashboard. 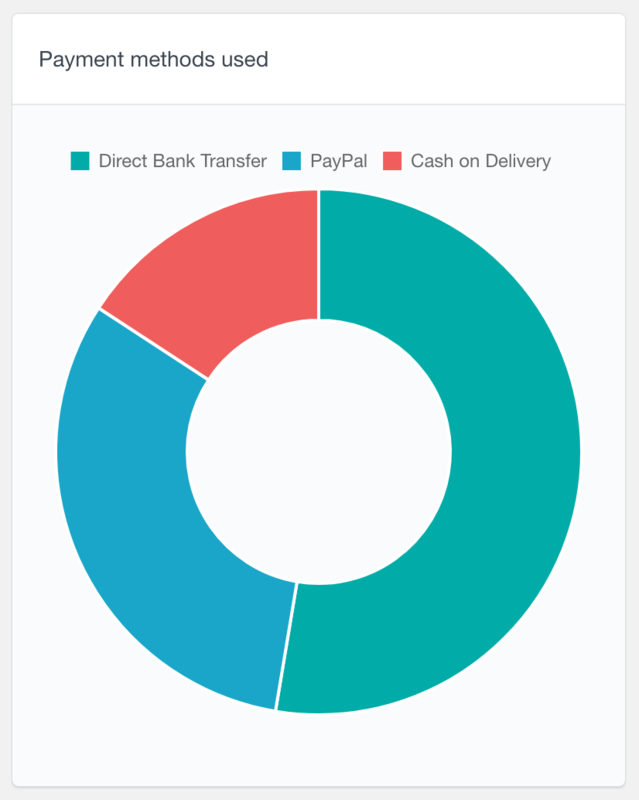 With it, you’re able to see in a pie chart how the repeat buyers are distributed. A quick glance over your most common billing locations can provide you good insights as well. 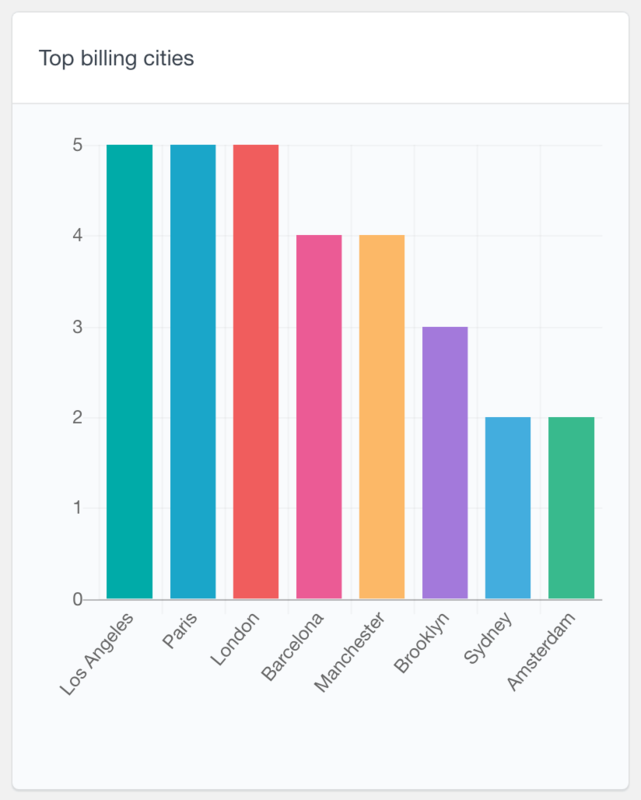 You can use the Users Insights top WooCommerce billing location report to identify popular countries and cities. Your WooCommerce customer dashboard is going to be more complete once you look at the payment methods and coupon usage. This gives you an insight on how payment options and discounts can affect your conversions. 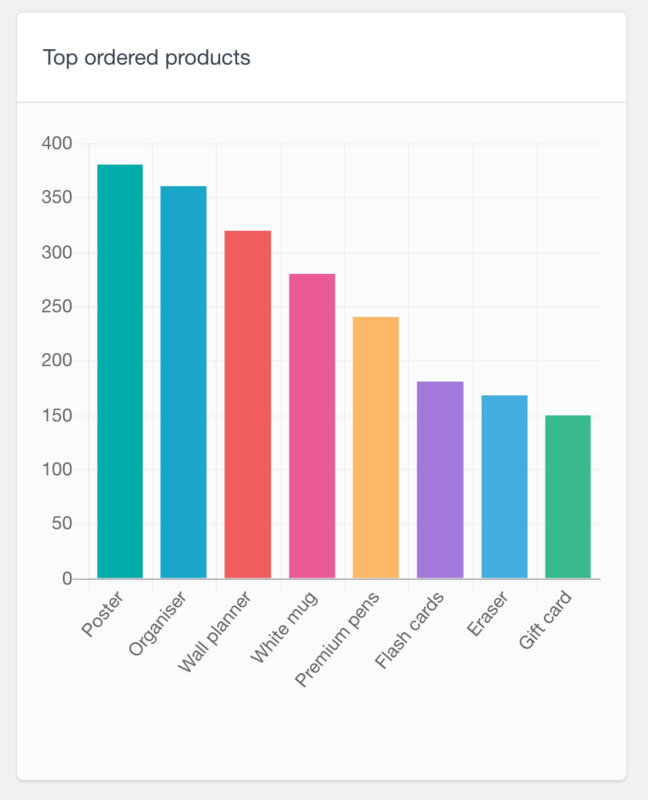 And the last highlight of our WooCommerce dashboard is the best sellers section. There you can see which products are your top performers. 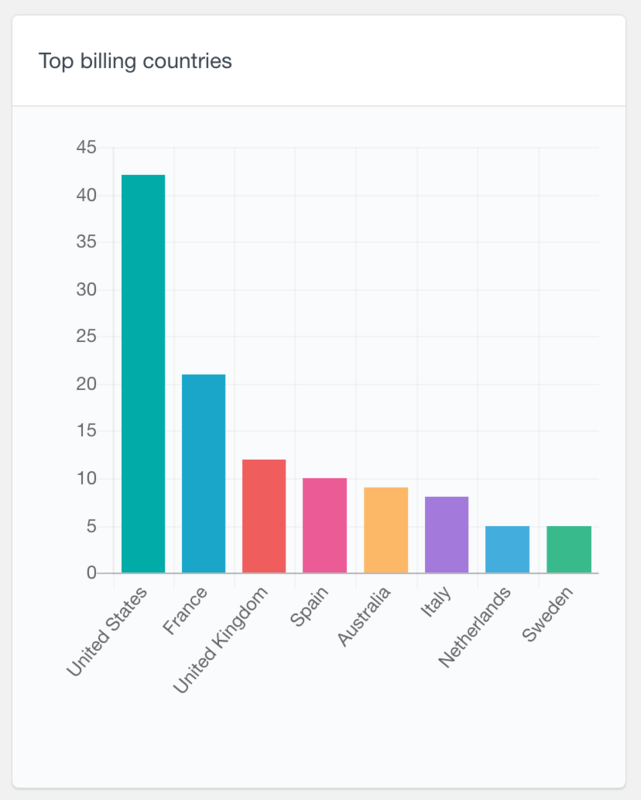 Additionally, there are other sections in the Users Insights WooCommerce reports that we haven’t mentioned, but you can read more about them. And if you want a more complete view of each user you can check their profile. There you may see all their orders, Wishlist products, reviews and any activity. 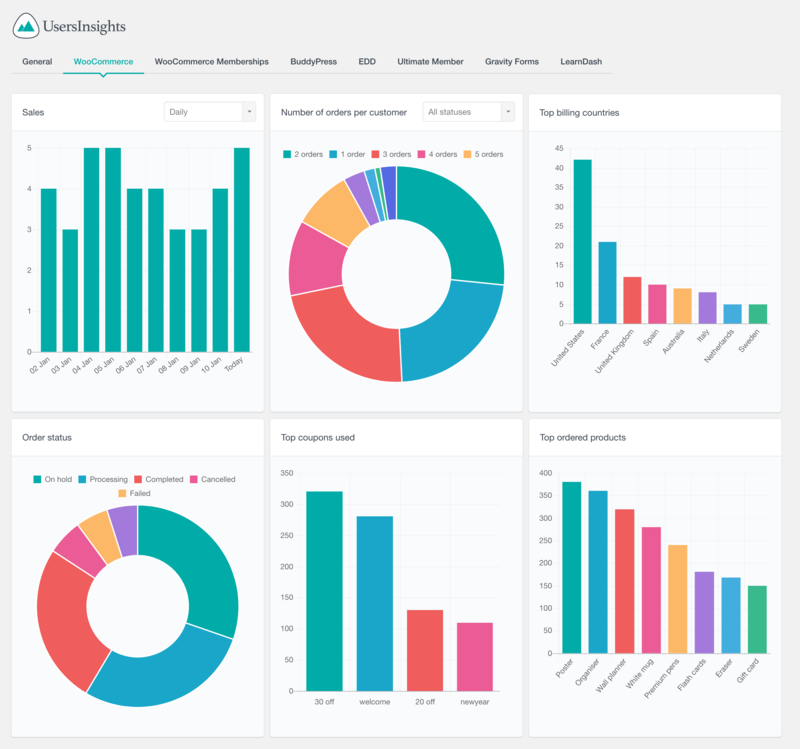 Finally, if you want you can create your own dashboard by using the Users Insights filters. This is useful if you want to drill down other reports from your user dashboard. This is useful if you want to combine information from different reports. For instance, you may want to know the lifetime value of your repeat buyers from the US. This kind of information can be gathered through filters, and you can export them using the CSV exporter for further processing. Today we investigated many aspects that go into building a good WooCommerce customer dashboard. We saw the basics of how a customer dashboard works, and how they can be useful. Additionally, we learned how to use Users Insights to build your own Customer Dashboard and find out more about your customer base. We hope you enjoyed and see you again next time!